Naupaca Dance Factory’s contemporary dance interpretation of Lewis Carroll’s Alice’s Adventures in Wonderland will attempt to translate the story’s Victorian quest for the origins of selfhood into an exploration of the materiality of the body. The project will attempt to bring to bear upon the story of Alice, the wandering female figure, postmodern theoretical accounts of identity and subversion. 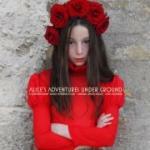 Adopting a postfeminist stance, referring mainly to Judith Butler’s notions of performativity and gender, Alice’s Adventures Under Ground proposes to explore the sense of the abnormal and the unintelligible which resides within wonderland, within the spaces that exist outside of the boundaries of normativity. In Alice’s Adventures Under Ground, bodily movement – choreography – will strive to articulate unspeakable desires, as nonhuman, ahuman and posthuman bodies will be unveiled and enlivened. Tickets available directly from Aurora Box Office in Victoria, Gozo or from Island Books, Mosta. 89.7 Bay presents the 8th edition of the Bay Music Awards. The event is set to take place on Monday, 12th December - the eve of a public holiday. As is customary, the Bay Arena will serve as the venue for the show, whilst this year’s hosts Bay Breakfast’s Drew, Drive time’s Nathan and 89.7 Bay’s newest addition, Ben Glover - will keep the crowd hyped and on their toes between performances. The tagline ‘Are you ready to SCREAM’ highlights Bay’s continuous commitment to providing the best show possible, with this year’s event promising to be the most memorable yet! There are plenty of surprises in store, both during the event and leading up to it - we’ll definitely be giving you something to shout about! At the start of Movember guys register with a clean shaven face. The Movember participants known as Mo Bros then have the remainder of the month to grow and groom their Mo (slang for moustache) and along the way raise awareness for men's health issues. While growing a Mo (moustache) is left to the guys, Mo Sistas (ladies who support their guys or love Mo's!) form an important part of Movember by recruiting Mo Bros and helping to raise awareness about men's health. The answer is because men lack awareness about the very real health issues they face, have an attitude that they have to be tough - "a real man" and are reluctant to see a doctor about an illness or to go for regular medical checks. The aim of Movember is to change these attitudes, make male health fun by putting the Mo (moustache) back on the face of fashion and in the process raise some serious awareness for men's health issues. Its not too late to start growing yours! Love My Malta want to see everyone support his good cause, send pics of your Movember Mo to sam@lovemymalta.com and I will be uploading them throughout the month! Take note that due to a significant amount of changes taking place the Malta bus system will not be running at its usual timetable. Passengers are advised to visit www.arriva.com.mt to check the current schedules and routes. All bus stops will be updated with new routes and timetables in due course. The 2011 LRMM also saw a record number of participants in both the Marathon and the Half Marathon, 345 for the Full and 1,582 for the Half. The indications are that there will be another record number of participants, so don’t leave it too late apply now as the closing date for the Marathon, Half Marathon and ‘Endo’ Walkathon may change as each race is full. All finishers in the 2012 LRMM will again receive a spectacular 70mm x 7mm medal. In 2011, 12 bands lined the marathon and half marathon routes, in 2012 we plan to have even more. 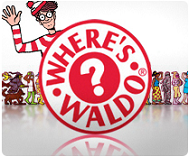 Now is the time to start training for the 2012 event. 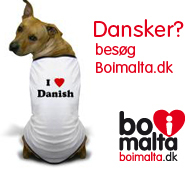 The Land Rover Malta Marathon will be held on the 26th of February 2012. Thursday nights at Malta International Airport (MIA) have taken on a whole new meaning with LIVE Thursdays. Every Thursday MIA are putting on a different live set from local bands. This week The Crowns will be playing an unplugged set. LIVE Thursdays kicks off at 21:00 at the food court in MIA (Level -1). PATCHES is not just about setting up a fair and selling. The aim of Patches is to showcase and promote contemporary artisans with a passion for handmade arts and crafts. PATCHES will bring together talented artists, designers, stylists, and craftspeople all at one destination. It is a unique event to connect the makers of beautiful things to people who appreciate the quality, handcrafted and locally designed. Patches Market will be holding their 9th and Christmas Edition on Sunday November 27th from 10:30 - 18:30. Join the Patches group on Facebook to keep updated! Today Saturday the 19th Of October, Valletta retailers and the local council have joint forces to create a late night shopping extravaganza. Retail outlets in the beautiful and historic capital city will be staying open until 9pm this evening and until 1pm tomorrow, Sunday the 30th of October. "One of the greatest of all Greek tragedies - savage, comic and intensely lyrical - the Bacchae powerfully dramatises the conflict between the emotional and rational sides of the human psyche. The magnetic young Dionysos - icon, hedonist, god - returns home with his cult of female followers to exact his revenge, unleashing the full force of female sexuality on the city." The Bacchae by Euripides runs from the 21-23 October, 28-30 October, 4-6 November 2011 at MITP Valletta, St Christopher Street. The next installment of the Malta Artisan Market will be heldon on the 30th of October in Kalkara, a beautiful historic location on the Maltese Island. Among attractions will be freshly cooked food with top chefs, arts and craftspeople in action, tango dancing and some wonderful activities for kids like making your own soap, decorating eggs, decorating cakes and scary face painting!!! The theme will be HALLOWEEN, there will be a competition for best dressed kid!! So meet up with friends and family at this exciting market concept. 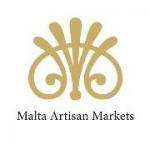 Like Malta Artisan Markets on Facebook and keep updated on news about the market!